Children under 11 years can not be accommodated. One child or adult is charged EUR 50 per night (extra beds). Maximum capacity of extra beds is one. WiFi available throughout the structure. Located on the top of a hill with view of Lake Garda, Quercia Belvedere Relais is surrounded by olive trees and vineyards. Featuring a free hot tub in the garden, it also offers elegant rooms and free Wi-Fi. Breakfast is served daily and includes sweet and savoury items. Air-conditioned rooms have parquet floors and a flat-screen TV with satellite channels. Each has an en suite bathroom complete with bathrobes, while some also come with lake views. At the Quercia Relais staff produce their own olive oil and wine. You can sit and unwind in the garden, equipped with tables and chairs. 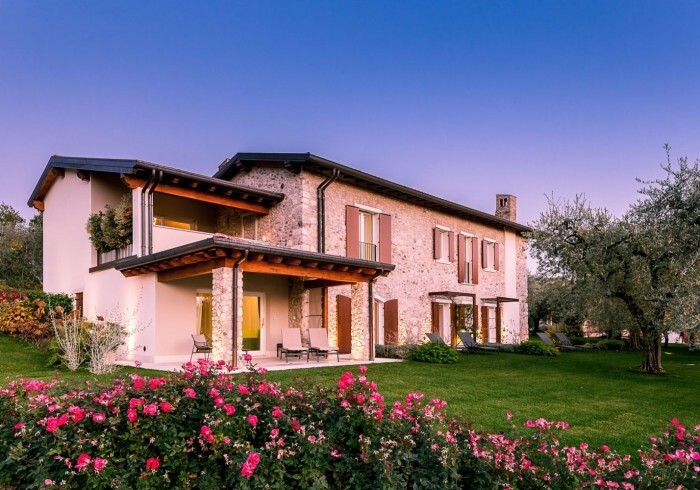 Verona city centre and Verona Villafranca Airport are a 35-minute drive from the property. The centre of Bardolino is 2 km away.